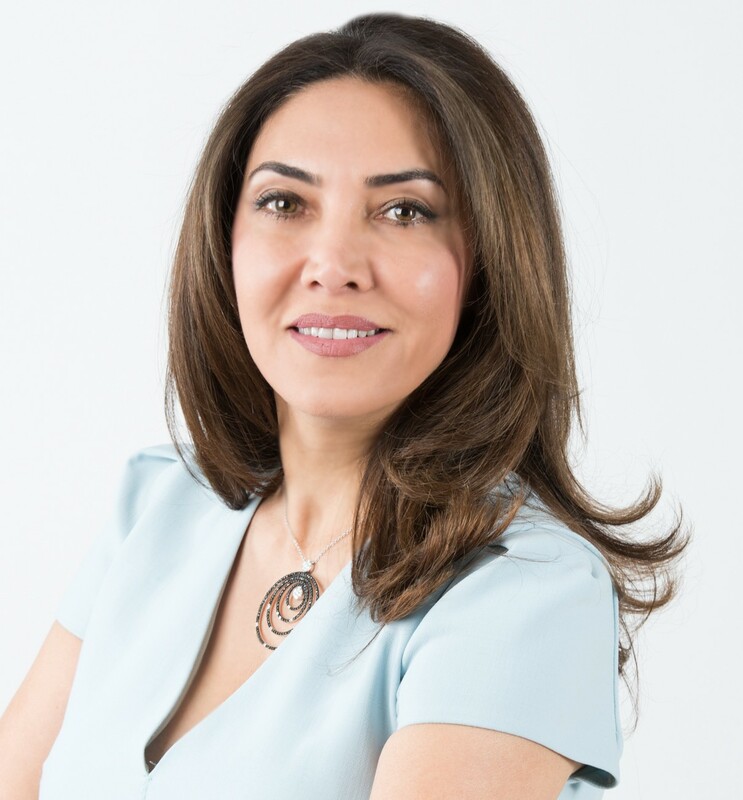 I had the pleasure of interviewing Susan Akbarpour the CEO and co-founder of Mavatar Technologies, the company behind mCart. mCart is a blockchain-based omnichannel platform that makes the world around us shoppable, allowing our enterprise customers to utilize content and data to engage with influencers and shoppers to drive sales. For over 30 years, I have created and invested in innovative products and businesses in technology, media and retail, which has led me to currently residing as the CEO and Co-Founder of Mavatar. I founded Mavatar in 2011 based on my research in graduate school, soon after receiving my MS in Management from Stanford University in 2010. Mavatar’s “decentralized marketplace and shoppable content publishing” solutions provide retailers and media companies with a new way to measure the convergence of data intelligence and content within a consumer-centric commerce. Most recently we have developed mCart with efforts of our world class team, creating a “Decentralized Attribution Protocol” that combines advanced blockchain and AI technologies and a fresh approach to Basket Shopping and Influence Marketing or User-generated advertising to address lack of transparency and trust in the retail affiliate sales and marketing value chain. My journey as an entrepreneur, journalist, publisher, investor, board member, community advocate and political fundraiser, has garnered us tremendous opportunities including multiple media, community and business awards. I’ve been also speaking at various conferences and our works is featured frequently by mainstream media. In addition to my work with mCart I also sit as a partner at Candou Ventuers, I’m a member of the board of directors at IMA International Executive Council and VOMax Corporation, Trustroot advisory board, Stanford Business School Alumni Association, Watermark (a nonprofit organization that is a community of executive women) and a contributing writer to Forbes . Our platform integration with blockchain was completed not long ago which alongside with our bevy of features makes mCart as a service the premiere option for omnichannel marketplace operators and their top retail partners. Our first blockchain-based marketplace will be released soon. FX Group, the award winning marketing partner & advisory firm that manages Hollywood’s most iconic brands, is launching the first mCart blockchain-based marketplace by Mavatar this summer to leverage “Influence Marketing” in a massively scalable manner. Imagine how cool would be to watch the red carpet shows such as Emmy Awards, Grammy Awards, American Music Awards, Billboard Music Awards, Miss America that are all shoppable for audiences. mCart makes the world around us shoppable! In my exhilarating journey as an immigrant and female entrepreneur, I have had the privilege of having legendary mentors who constantly supported and guided me. Among them I can name the late Stanford professor, William F. Miller (CEO & President of SRI International, Emeritus and co-founder of Mayfield Fund) who served as my previous company’s chairman. Irwin Federman, Regis McKenna, Phil Schlein, Mavatar Chairman of the advisory board, Steve Westly and Chris Kelly. Years ago I had a pleasure to meet the legendary Shellye Archambeau. Shelye inspired me to stand up to hidden bias and consensus against female founders when she saw my hesitance to become the CEO of the company I’d founded. Lack of pipeline investment for female founders who are trying to get into a boys club made me think I’m not the best CEO for realizing such a big dream which doesn’t fit easily in typical VCs’ historical portfolio models! She convinced me that if I don’t believe I can claim the title I deserve, no one will either! I looked at her impressive track record as the CEO of MetricStream and the board member of largest enterprises of the world such as Verizon, Nordstrom and others and I felt #SheDidItSoICan! All we need is a role model to prove all of our self-doubts wrong. Blockchain is not a boys’ club yet. VCs and traditional investors are late for the train and haven’t taken over it yet. This is a great opportunity for women, who only received 4% of the VC funding last year. Blockchain is removing the middleman and bottleneck from many products and platforms that need the entire constituencies of the ecosystem (mostly traditional male dominated industries!) they are serving, sign up to the vision. Blockchain is trustless and democratic. Blockchain allows the entrepreneur to leverage wisdom of the room (developers community or early adopters). So you are not running the risk of getting rejected by a small and closure network that happen to be not that informed about the industry your product disrupt. And if that’s you, it’s great! Because the lack of product market fit is the first reason for 42% of the startups to fail and you want to know it sooner than later. Blockchain levels the playing field. There is no race, gender, profession bias (at least not yet! ), to privilege one over another that has more history or incurs more ownership than others. Scalability is an issue — the Ethereum blockchain currently supports roughly 15 transactions per second! To give you a reference, Visa currently processes 45,000 transactions per second. Regulators and the legal system are busy creating too much bureaucracy around it which is inherently against blockchain nature. Bureaucracy and regulation defeat the purpose of decentralization. Blockchain is hard for public to understand — the user experience is raw and there are not many applications out there to define it for early majority. Security is still an issue. We need to define the utility token and separate them from security and commodity tokens sooner than later because liquidity and token economies are important factors for this disruptive technology to survive and grow, funding itself. ● If you are woman, don’t be afraid of entering an army of men if you have to. I never thought about my gender first, working in many male dominated workplaces. I’ve only compared my capabilities with theirs. ● Don’t be afraid of rushing towards a solid wall! Surprisingly you can pass through any wall if you want to. ● Don’t be afraid of a top down approach. I don’t have time, patience and bandwidth for bottom up approach. I need a yes or no answer that dictates my next step sooner than later. I would love to also have a chance to sit with Michelle Obama that I had a pleasure to meet first time in August 2007 in the first fundraising for Barack Obama in SF. I need a second chance to learn more important lessons from her. Being powerful, smart and yet relatable is a big lesson for any career woman to learn.